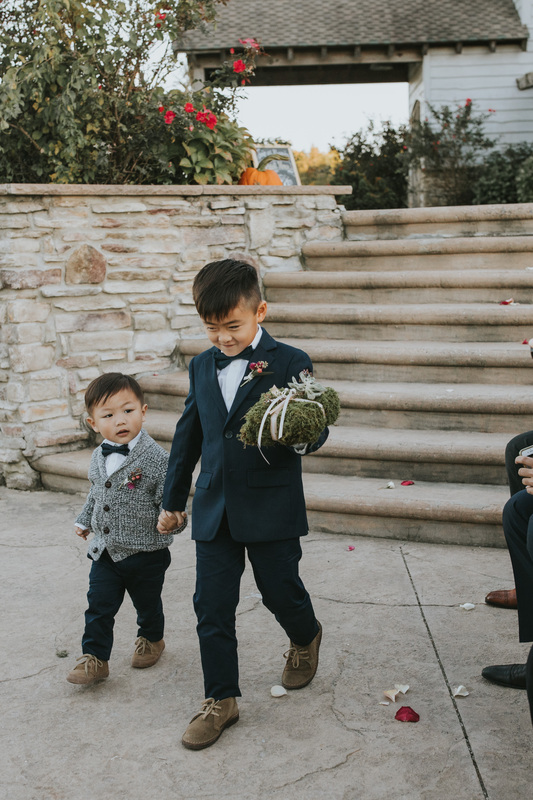 A ring bearer was first called a pageboy in England, and it is said that he originally carried the bride’s train and a prayer book along with the rings. Today ring bearers sport a tuxedo just like the groom and are easily the cutest members of your bridal party. Traditionally, the ring bearer would carry the rings tied onto a satin pillow, but new trends are on the rise. Couples are putting a new spin on the traditional ring bearer pillow. Also, keep in mind that your ring bearer may take off and run the other way, so try tying fake rings to the pillow just in case! We’ve seen it happen!